One way to earn a living in Spain is to teach English if that is your native language or you are fluent in it. Especially amongst the young Spaniards there is a desire to learn English or to improve on the, sadly, quite poor standard they will leave school with. Some people with no proper training nor any qualifications hope they can get by teaching English here in Spain simply because, “Mmmm, well. I speak English, don’t I?” That might get you a few basic lessons with some bored housewives or young children but as with everything else in life professional qualifications will at some stage either be required or at least get you better (and better paid!) work. Certainly in the big cities locals are aware that qualified teachers are available and will seek them out. Young professionals keen to advance in business will expect to be taught by equally professionally tutors. So, how does one get qualified without returning to the UK for many months? Nowadays, with the advent of the internet, one way to gain qualifications is with an online course. Global language Training provides on-line and in-class TEFL courses (Teaching English as a Foreign Language). TEFL certificates are recognised worldwide and on successful completion of the course individuals will be qualified to teach English as a foreign language around the world. 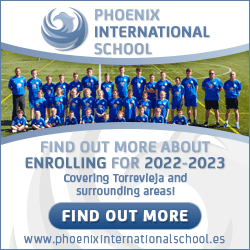 This is a great opportunity to teach in Spain …. and getting paid a realistic rate for it. Their highly qualified, knowledgeable and experienced trainers have designed a cutting edge program, incorporating the latest theories and techniques. They will support and guide you through the course, step by step, ensuring you develop the required skills and techniques that will enable you to walk confidently into any English classroom in Spain and around the world. The flexibility of our courses allows you to carry on with your daily life and study at your own pace. Please visit the Global Language Training website for further details. NOTE: we are currently offering a 50% discount on all online courses. To claim this offer please email Global Language Training.